Posted on December 5, 2012, in An Artist's Life, Creative Process, Pearls from Artists, Quotes, Working methods and tagged "The Creative Habit: Learn It and Use It for Life", accompany, arms, art student, assignment, autobiographies, boat, colors, comfort zone, dance, discover, DNA denial, exercise, false starts, feelings, floor, friends, goal, grow, heartaches, impressions, improvise, know yourself, language, lecture, lecture hall, limpid blue, mouth, movement, music, page, painter, playing to your strengths, presumptious, reading, reexamine, saxophone, stage, sticking your neck out, stories, students, text, three-ring circus, tubes, tuck position, Twyla Tharp, uncomfortable, Vassar, what you should not be doing, writer. Bookmark the permalink. 6 Comments. Love Tharp’s sharp insight. What a fascinating story! Thank you for saying so. Twyla Tharp’s book is very down-to-earth and full of practical tips for artists. It’s one to continually re-read! This is great–I have that book and it is an intense read. 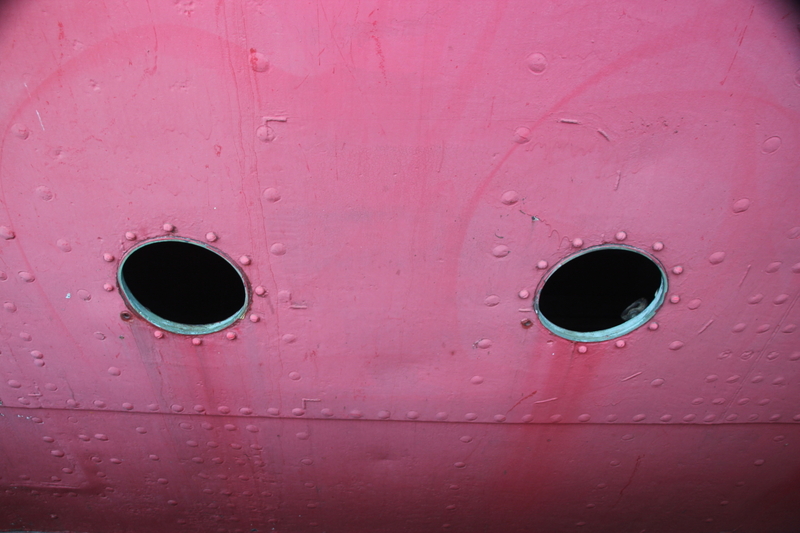 Luv the photo you of the red boat hull with 2 portholes. Thank you very much, Marie. I just love that book! The photo is one I took of a boat that’s permanently docked on a Hudson River pier. Of course, the rich color and the portholes caught my eye. Hellow my name is June and I’m a blogger and this article really aided me. I’m inspired! Thanks very much!